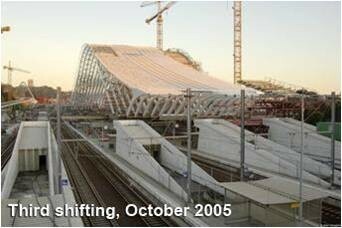 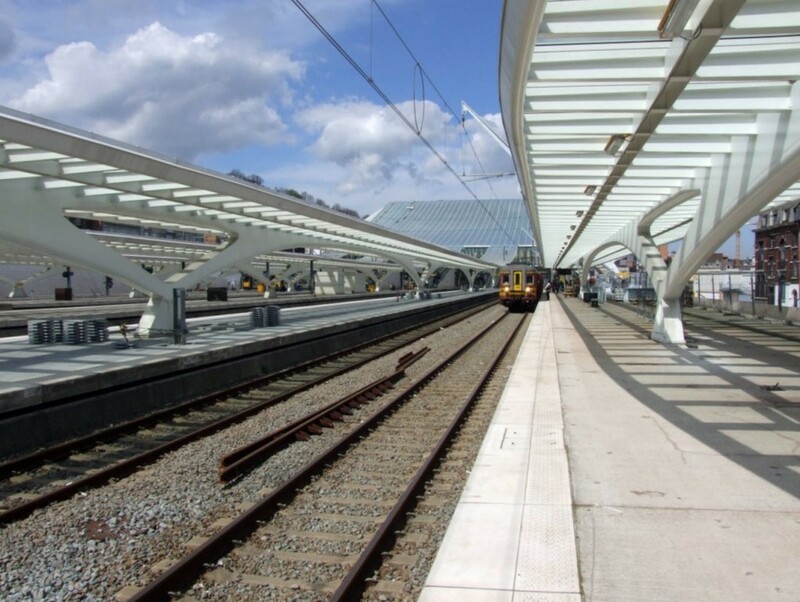 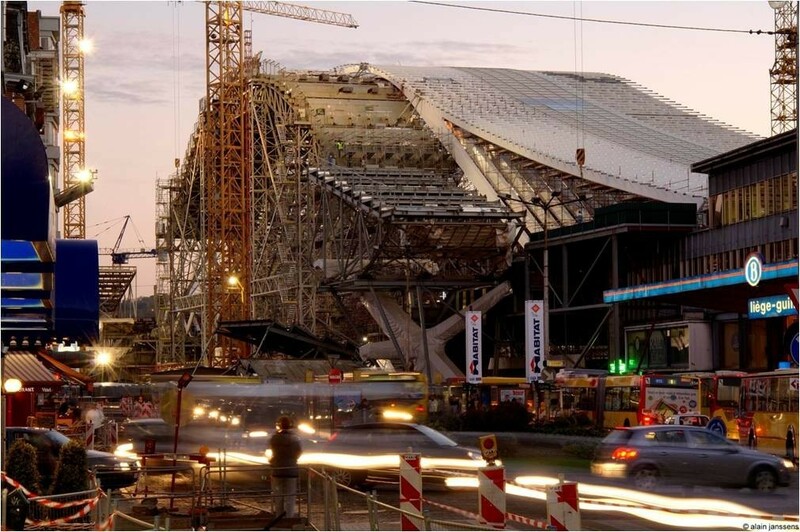 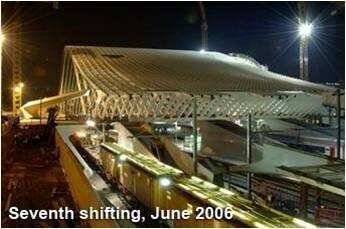 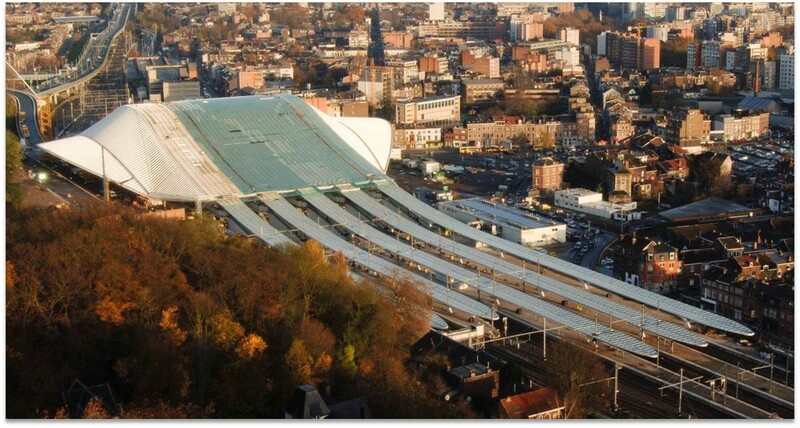 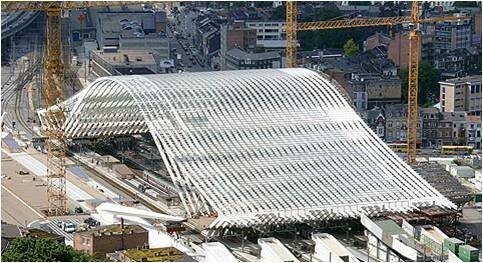 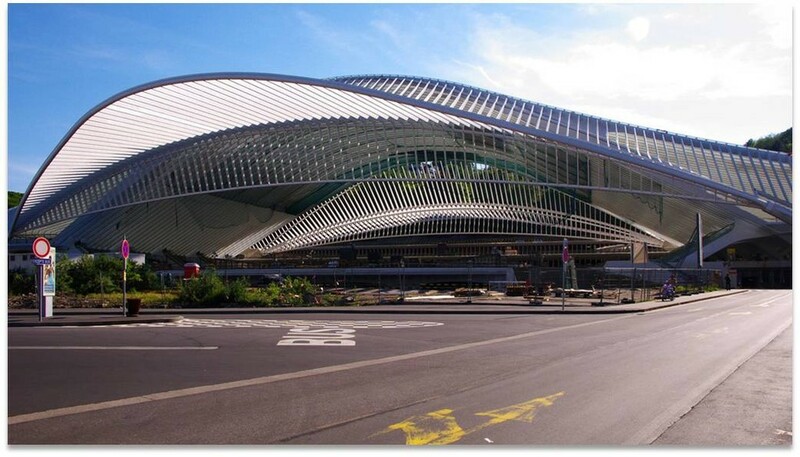 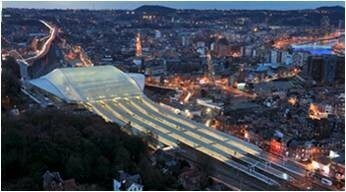 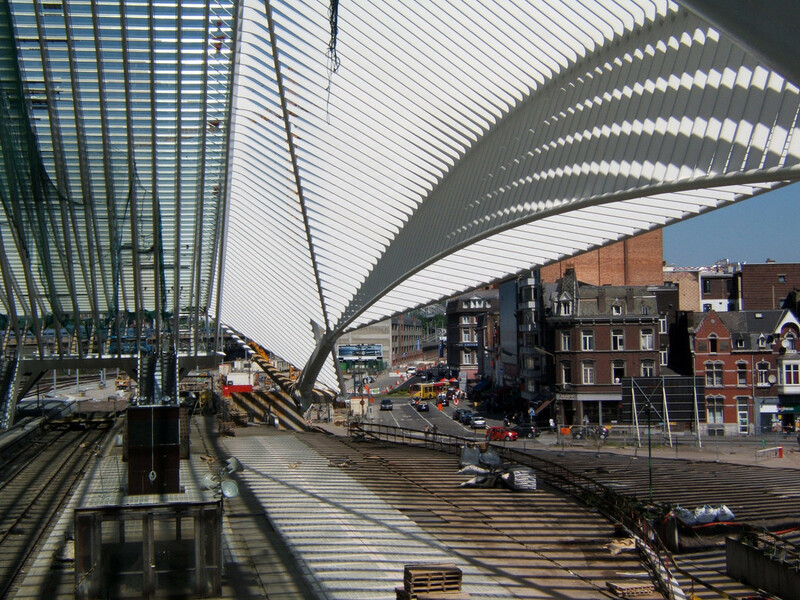 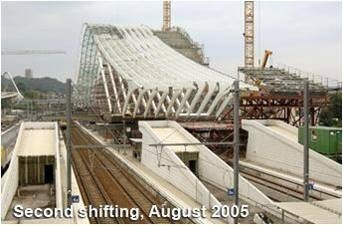 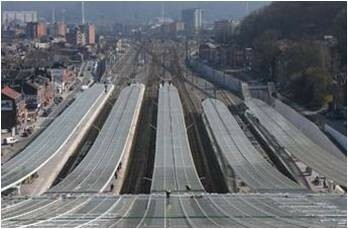 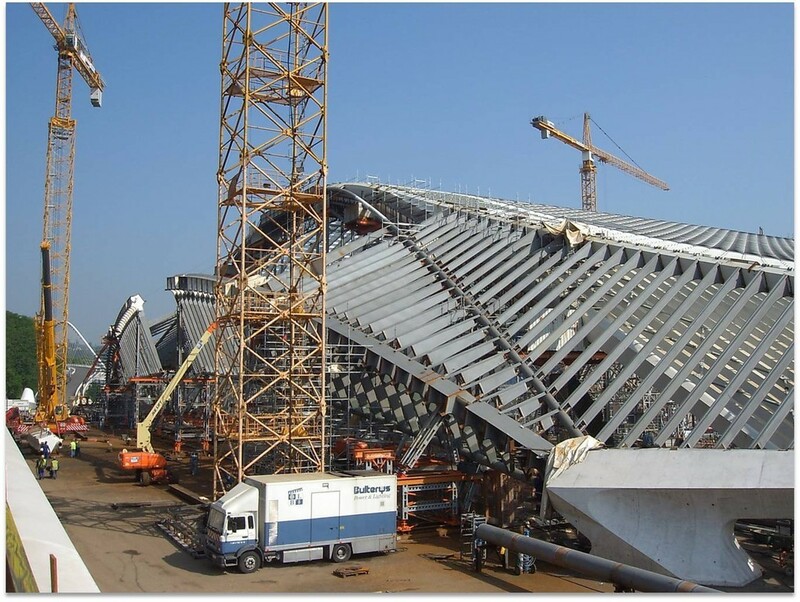 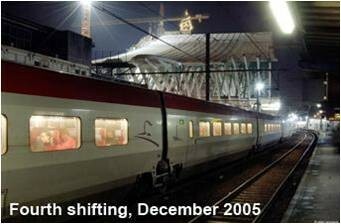 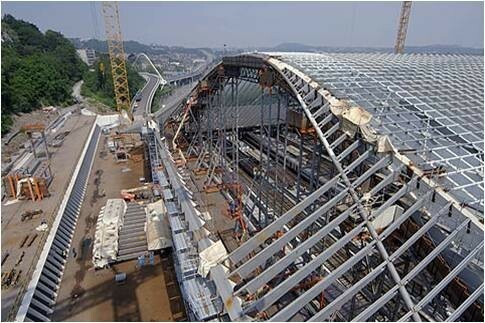 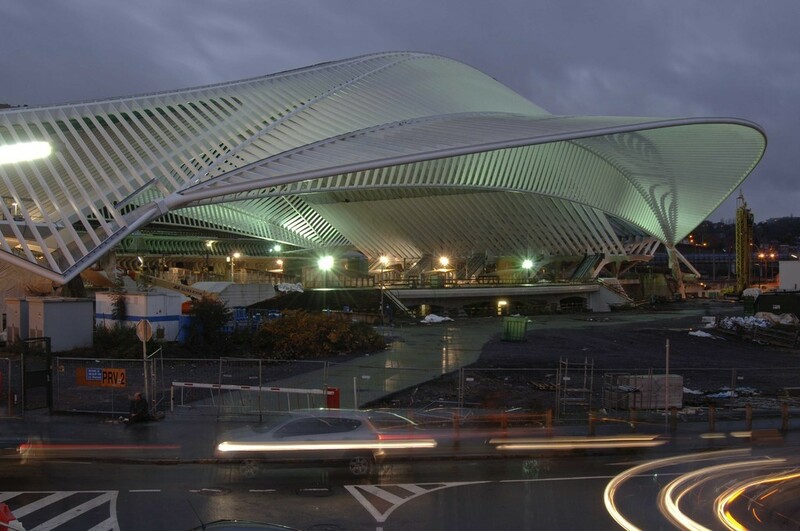 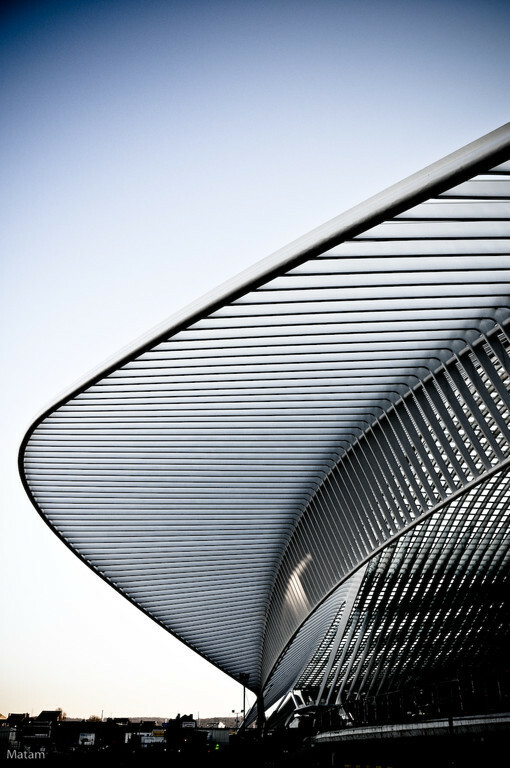 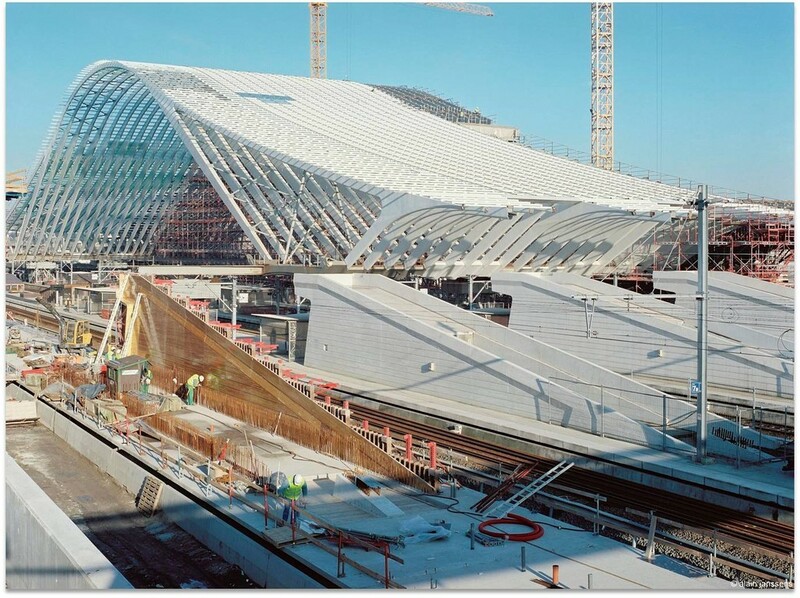 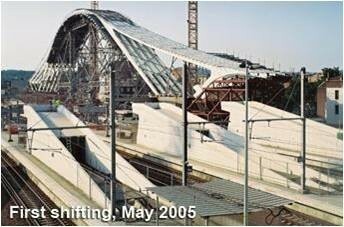 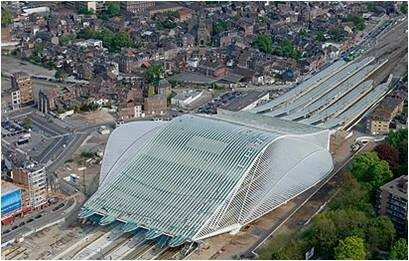 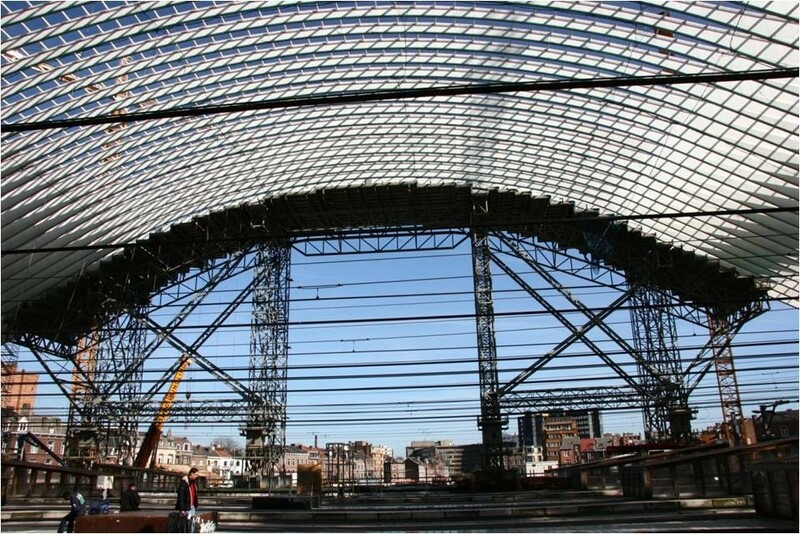 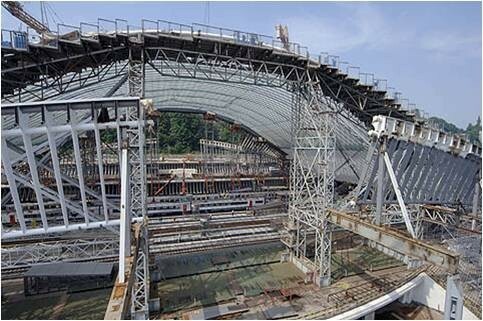 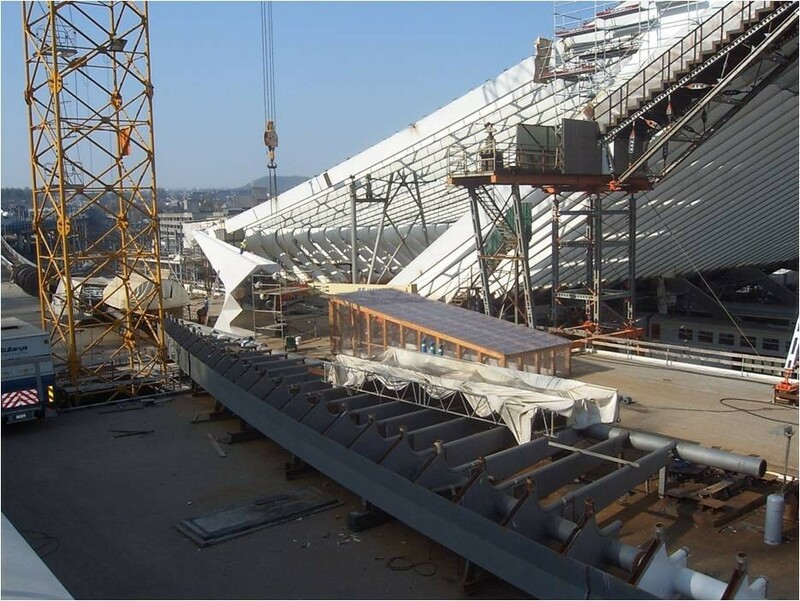 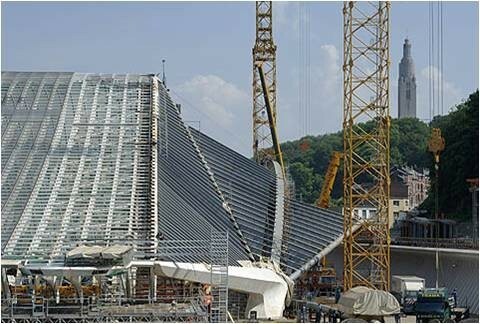 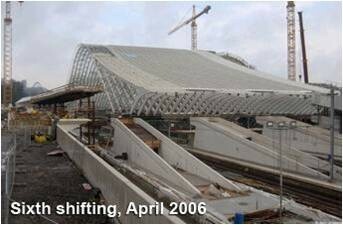 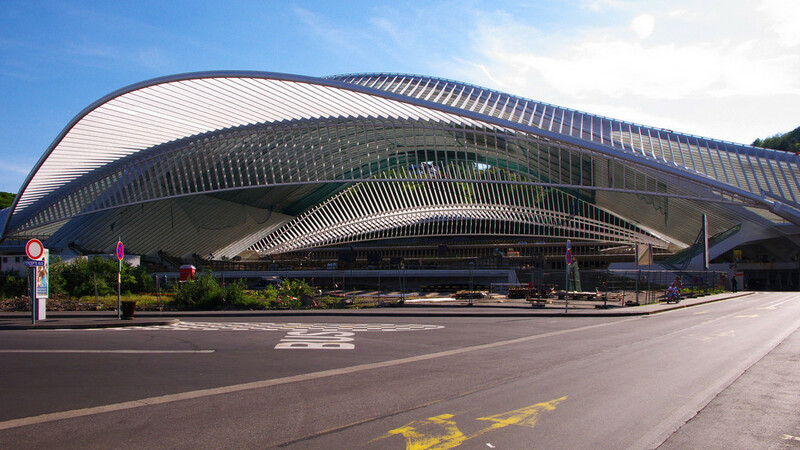 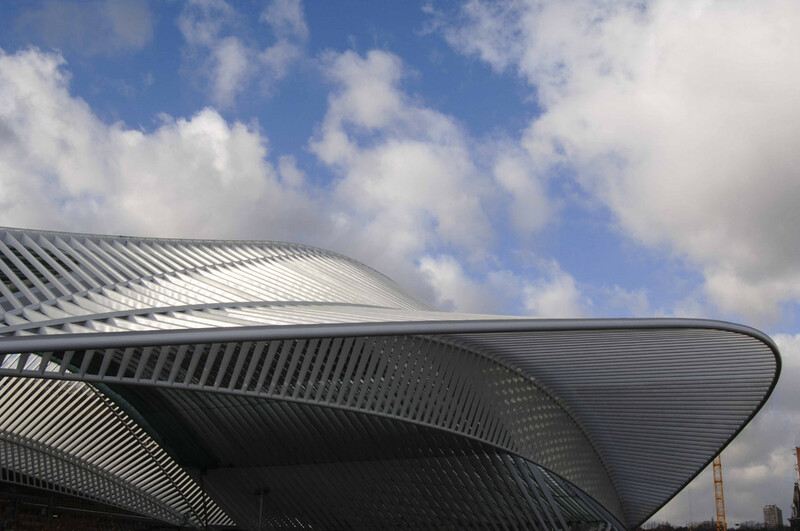 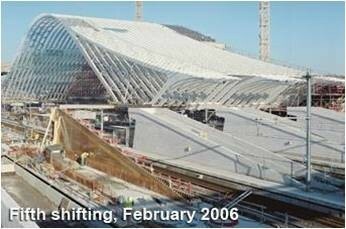 Construction of the steel structure of the new Liège-Guillemins railway station (Liège, Belgium) designed by the architect Santiago Calatrava. 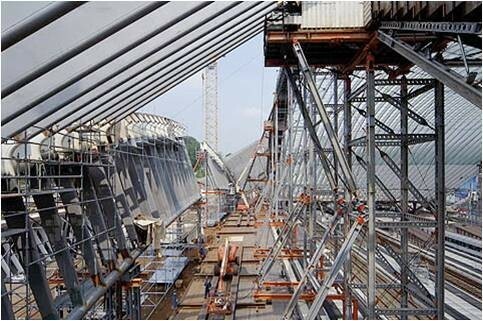 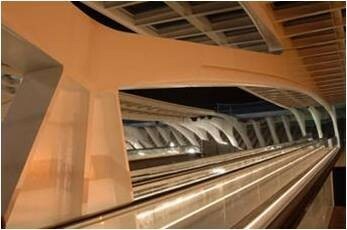 The steel construction volume is about 11000 tonnes and 1500 tonnes of additional auxiliary steel constructions. 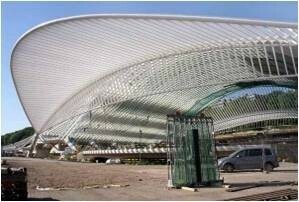 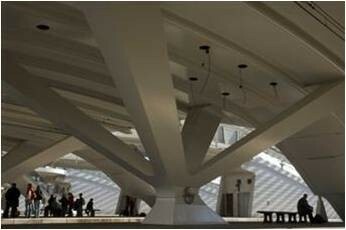 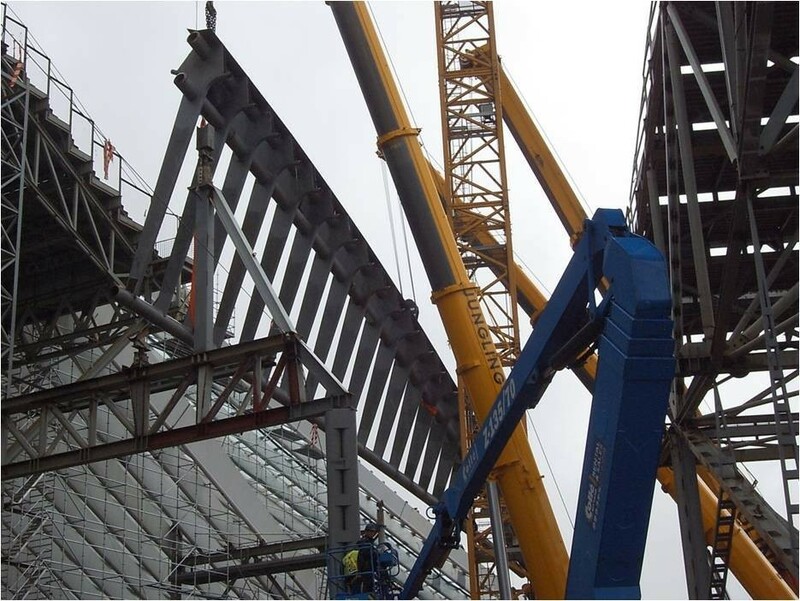 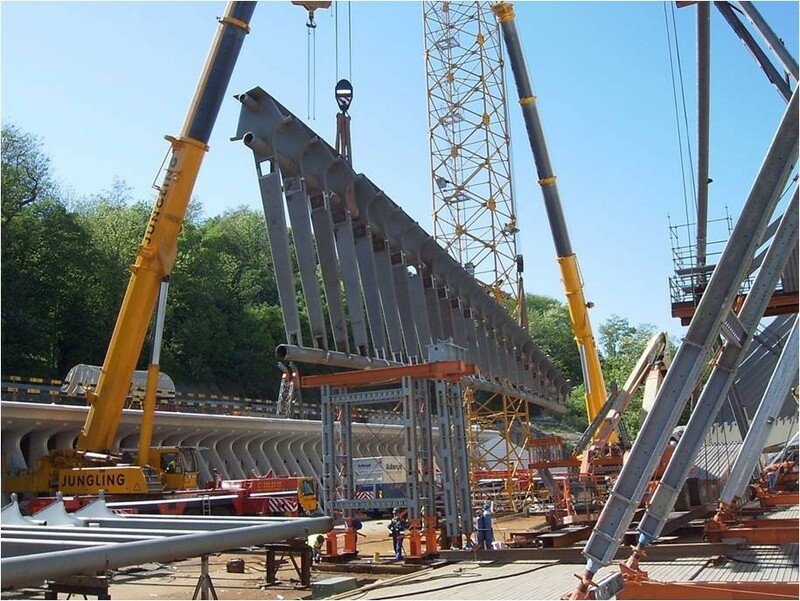 The steel construction was carried out by the company Elaborados Metálicos EMESA.